According to what appears to be his Facebook page, Tusitala “Tiny” Toese is “enjoying my homeland” of American Samoa. PORTLAND, Ore. — Trailed by three other men who walked with heads down, Donovon Flippo ascended the steps of the Multnomah County Courthouse Wednesday, prepared to face a judge. 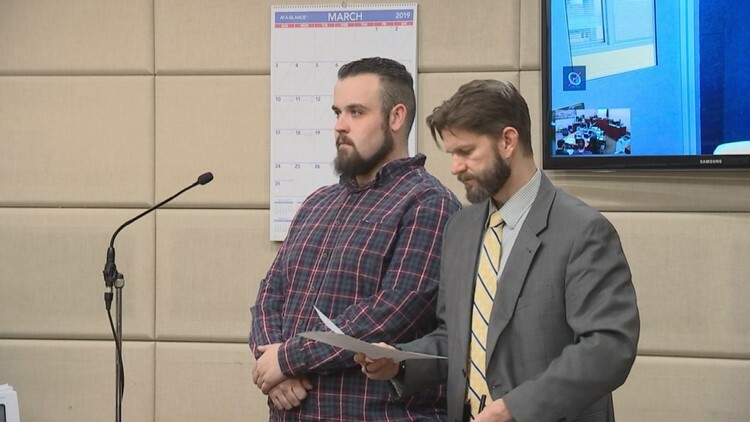 Flippo, a staple at Portland’s violent protests, is facing one count of third-degree assault and one count of fourth-degree assault for allegedly attacking a Portland man on a busy stretch of Northeast Broadway one afternoon back in June 2018. Donovon Flippo is facing one count of Assault in the Third Degree and one count of Assault in the Fourth Degree for allegedly attacking a Portland man. A second man, and fellow member of the far-right group the Proud Boys, is also charged. He was not in court. In fact, unlike Flippo, 26-year-old Tusitala “Tiny” Toese hasn’t even been arrested, and no court date has been set. According to what appears to be his Facebook page, Toese says he is “enjoying my homeland” of American Samoa. 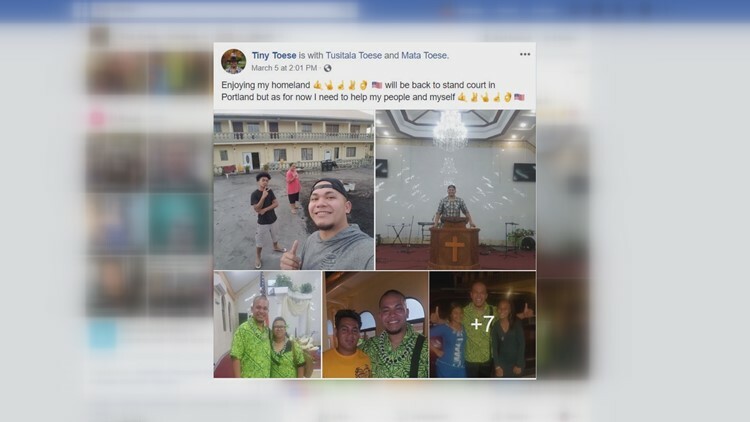 According to what appears to be his Facebook page, 26-year-old Tusitala “Tiny” Toese is “enjoying [his] homeland” of American Samoa. Samoa is an unincorporated U.S. territory covering seven islands in the South Pacific. The post is dated March 5, nearly a week after a Multnomah County grand jury voted to indict Toese and Flippo on the assault charges. It remained sealed until Tuesday. In the days following the indictment, the victim in this case gave interviews to Willamette Week, KGW and other media outlets about the development. By March 5, Toese had left Portland. He then pointed KGW to an Oregon state statute that places that responsibility on the shoulders of the governor. The governor's office said they typically grant extradition requests as they are brought to the state level by local authorities. They said they have not been contacted regarding an extradition request for Toese. KGW reached out to Toese Wednesday to ask if he is back in the Portland area, but received no response.